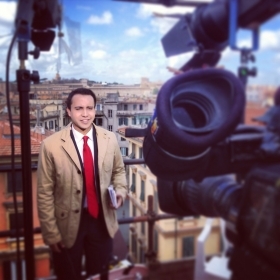 Bryan Llenas is an American journalist, who currently serves as a New York-based correspondent for Fox News Channel (FNC). He is well recognized for the outstanding live reporting, during the terror bombings in Manhattan and New Jersey in September 2016. Bryan Llenas was born on 12th of July 1988 Boca Raton, Florida in the United States. He has a sister named Raquel. He has not mentioned his parent's name on social sites. Bryan went to the Olympic Heights Community High School. Then, Llenas attended the University of Miami and graduated with a degree in Broadcast journalism and political science from there. Bryan Llenas started his career in September 2006 as a Freelance Technical Crew member for Operations and Utilities at ESPN, where he assisted crew members to set-up and wire the stadiums for 3 College Football Games. He also learned technical aspects of how to set-up cameras and how studios operate and worked/shadowed on game day with a cameraman on FSU sideline as well as worked on College Game Day Half-Time show. Bryan worked there for six months until February 2007. In May 2008, he joined Palestra, the College Network as the Miami Palestra Reporter, where he has created and expertly produced packages to be posted on the Palestra.net website. There, he reported the 2008 presidential election and three game College Baseball Championship series. Bryan Llenas quit the job after eight months in December 2008 to join Fox News Channel University. On May 2009, he joined Fox News Channel University as the FNCU Reporter. He worked with Producers of Fox-Report/Studio-B with Shephard Smith, where he created content and managed a website intended to highlight the Intern experience at Fox News Channel. He wrote, shot, and produced packages for the site and Utilised Wordpress, I-News, and AR-Dom. From August 2007 to May 2010, Llenas joined the University of Miami as the Resident Assistant at Hecht Residential College. During his time at there, he created and effectively marketed social and educational programs within a living/learning environment and mediated emergency and disciplinary situations to ensure prompt resolution. He fostered relationships and promoted community through appropriate role modeling and served as a liaison between students, faculty, and administrators. 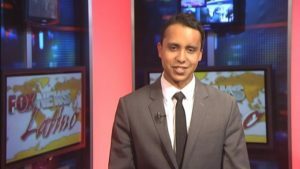 Llenas also became a part of the University of Miami Television in September 2007 as an anchor and reporter, where he produced and wrote packages/newsreaders in sports and news from around campus and Miami. Llenas also edited using linear and non-linear methods. He anchored and reported for the Award Winning NewsVision and SportsDesk and reported at the last game to ever be played at the Orange Bowl, which aired on Local CBS 4 Miami on Political Debate at the University of Miami. Llenas served there two years nine months. After leaving the University of Miami Television, Llenas joined the Fox News Latino as a reporter and a writer. 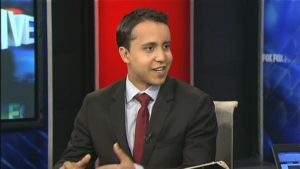 He worked there from September 2010 until July 2013, where he wrote, reported, and produced multimedia content for Foxnewslatino.com in New York City. Fox News Latino is the newest Fox News website, reports news and issues for Latinos in the U.S. and around the world originally in English. In July 2013, Llenas joined the Fox News channel as the Correspondent for Fox News Channel and Fox News Latino. He became a full-time New York-based correspondent in July 2016 since he is associated with the Fox News channel as the general assignment National Correspondent. Most recently, Llenas became the first non-French journalist to fly with the precision aerobatic demonstration team of the French Air Force, Patrouille de France. In 2016, he provided on-site coverage of the Latino vote from both the 2016 Republican National Convention and the Democratic National Convention. Llenas also widely reported onsite from the terror bombings in Manhattan and New Jersey in September 2016. During his time at FNL and FNC, he has reported a broad set of stories, including the 2014 World Cup live from Brazil, the January 2015 North American blizzard and the assassinations of NYPD officers Rafael Ramos and Wen-Jen Lu. He has also reported on the inauguration of Pope Francis live from Rome, the Pope’s subsequent visit to the U.S., Hurricane Sandy, Super Bowl XLVIII as well as the 2012 Republican National Convention and Democratic National Convention. He has also interviewed various newsmakers including governors, senators, athletes, and celebrities. Recently on April 5, 2017, Bryan Llenas investigated the U.S companies developing technology to counter Weaponized Drones. Llenas said that the company Department 13 is offering software to detect undesirable drones and take the down. He added that it's not just the military, though, as stadiums, airports, and prisons, showed their interest in the innovation. Llenas made his opinion differing the regulations, as the Federal Government are the only individuals, who can shoot down or take control of the drone. Llenas is regarded to be one of the Top 50 Latino voices to follow on Twitter. Being a part of the inaugural launch team that produced FOX News Latino, he covered key issues including politics, immigration, and news affecting the Latino-Hispanic community. Bryan Llenas is an openly gay. He is currently dating Chad Allen Jackson, licensed Real Estate Broker and runs a Manhattan and Brooklyn Luxury real-estate broker with Nest Seekers International. 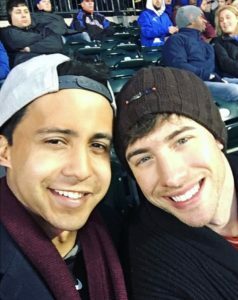 The two has posted their picture together on Instagram accounts. The Bryan Llenas exact net worth is unknown to us; however, some wiki sites mentioned that his estimated net worth is $1 million. Fox News' general assignment reporter salary is expected to be around $120k annually, as per reliable career infographic sites.